Dr. George Bohrnstedt is a senior vice president and AIR Institute Fellow and a leading expert in measurement, statistical methods, education policy and social psychology. He is the author of numerous books and articles in leading journals, and helped develop AIR’s assessment work at the national and state levels while serving as senior vice president for research. His current work focuses on the National Assessment of Educational Progress (NAEP), commonly known as “The Nation’s Report Card,” and he chairs the National Center for Education Statistics’ NAEP Validity Studies Panel. Trained as a sociologist with correlative emphasis in educational psychology, Dr. Bohrnstedt’s publications include books and journal articles on statistics for social data analyses, sociological methods and research, estimation with longitudinal data, and social measurement. 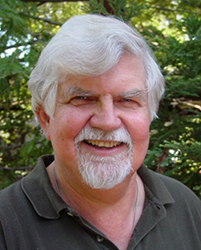 Dr. Bohrnstedt served as chair of the Section on Methodology for the American Sociological Association and was co-editor of their yearbook, Sociological Methodology. He was also editor and co-editor of Sociological Methods and Research and Social Psychology Quarterly. He has been honored as a Belding Scholar at the Foundation for Child Development and has been a fellow at Stanford's Center for Advanced Studies in the Behavioral Sciences.